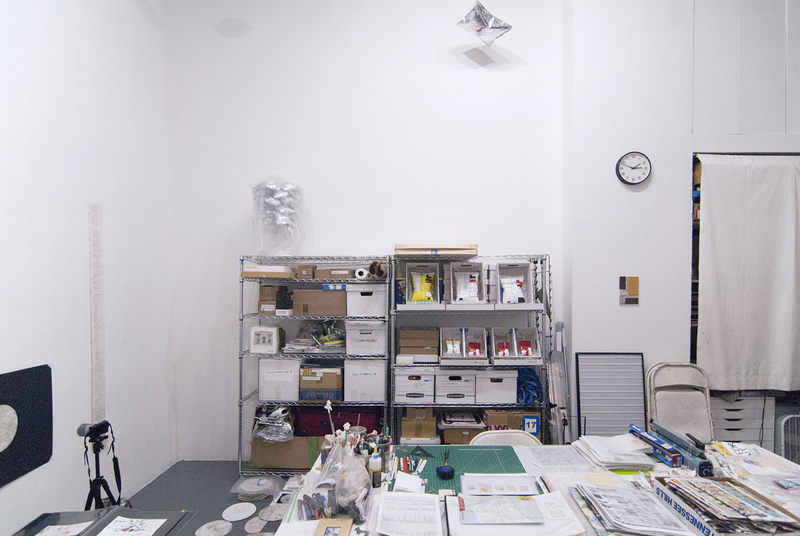 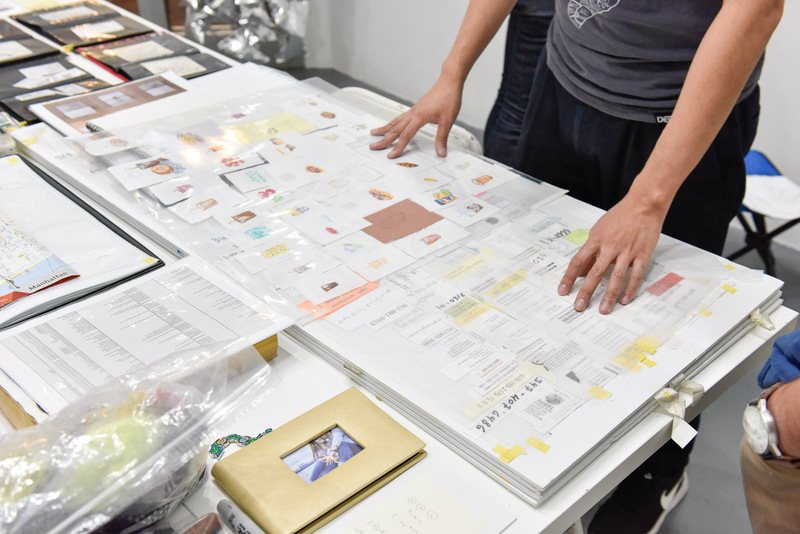 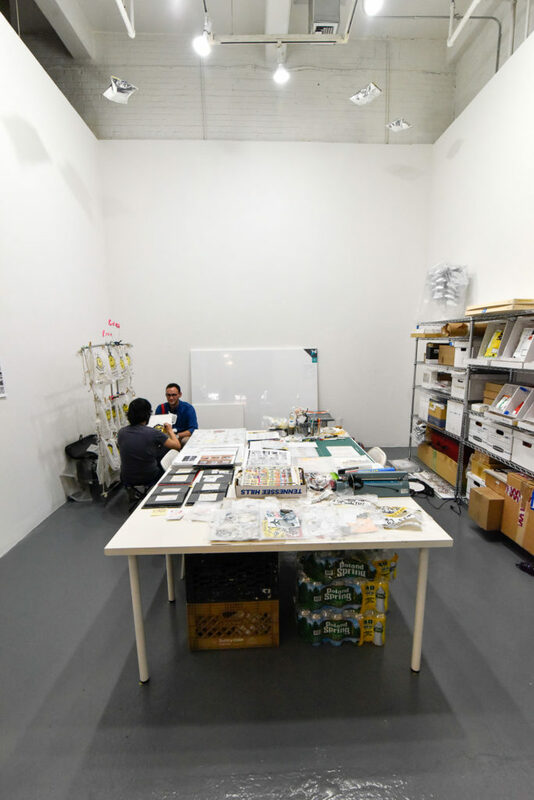 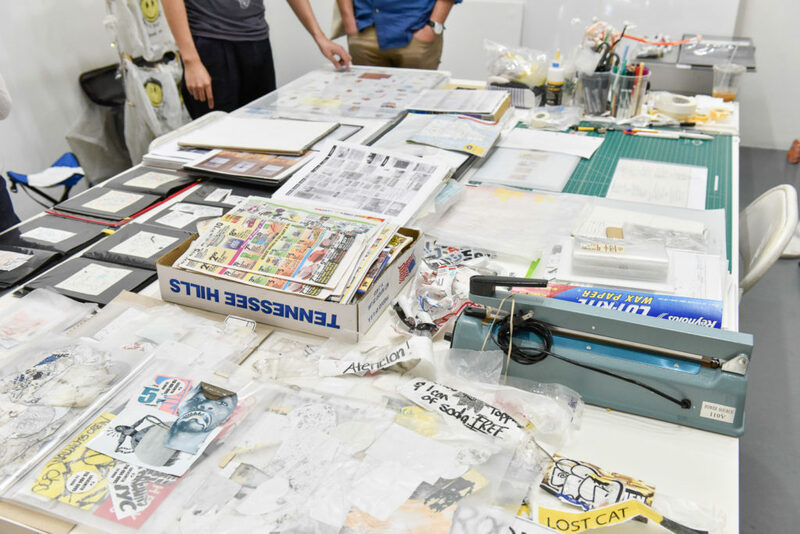 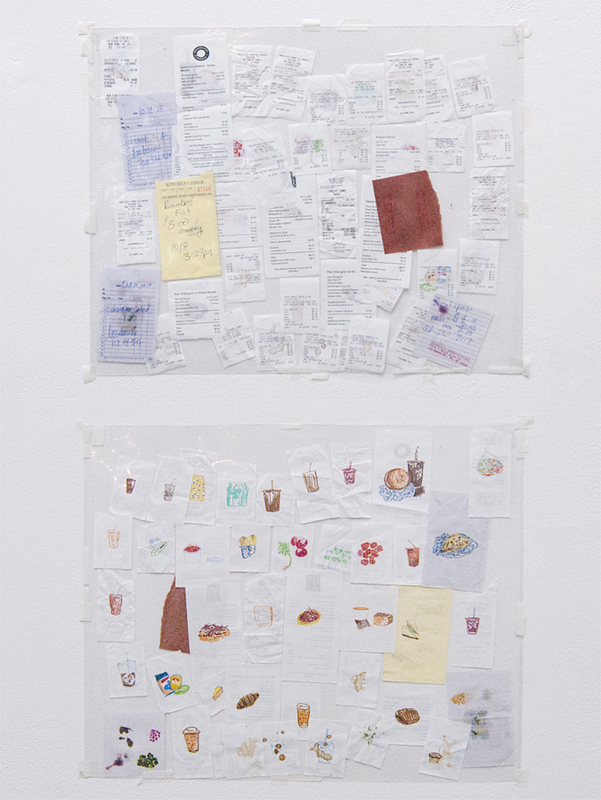 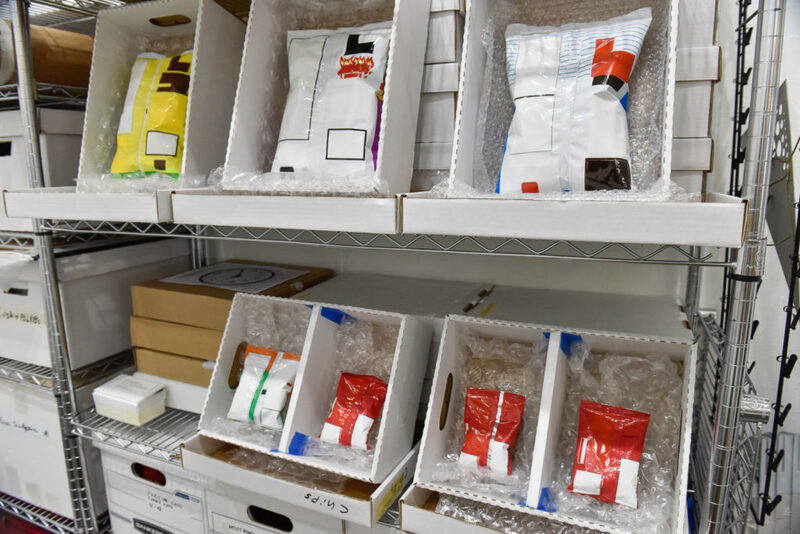 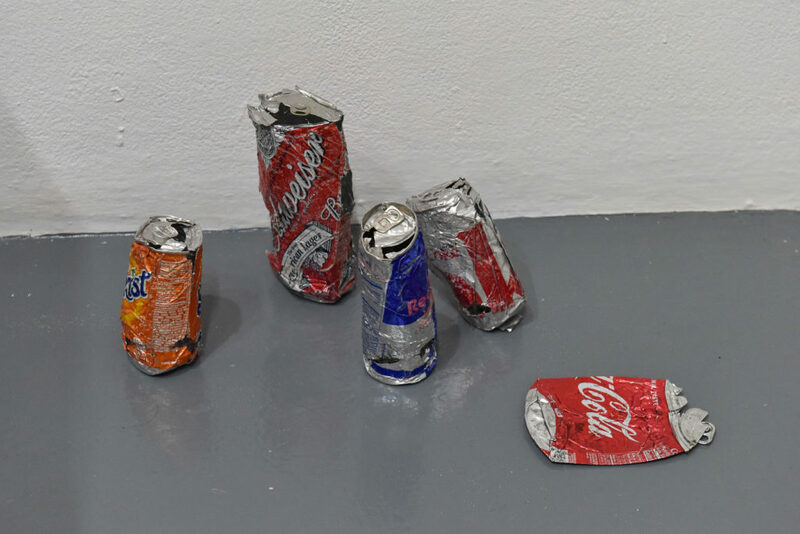 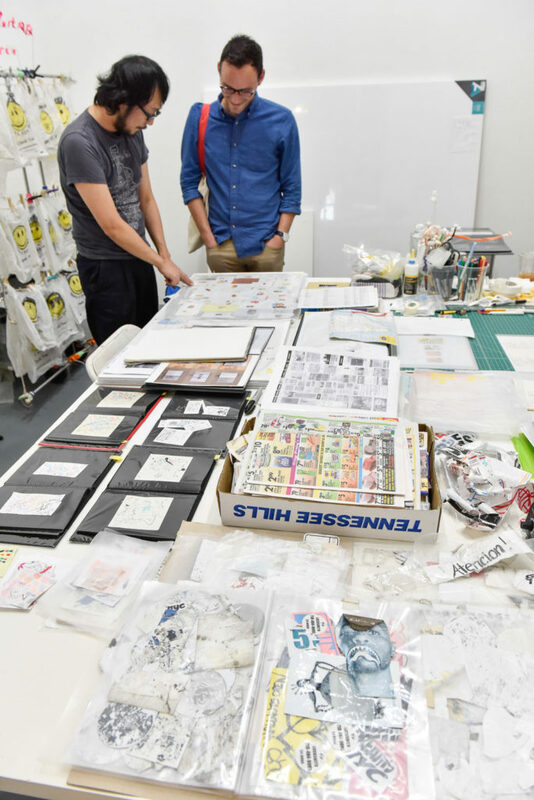 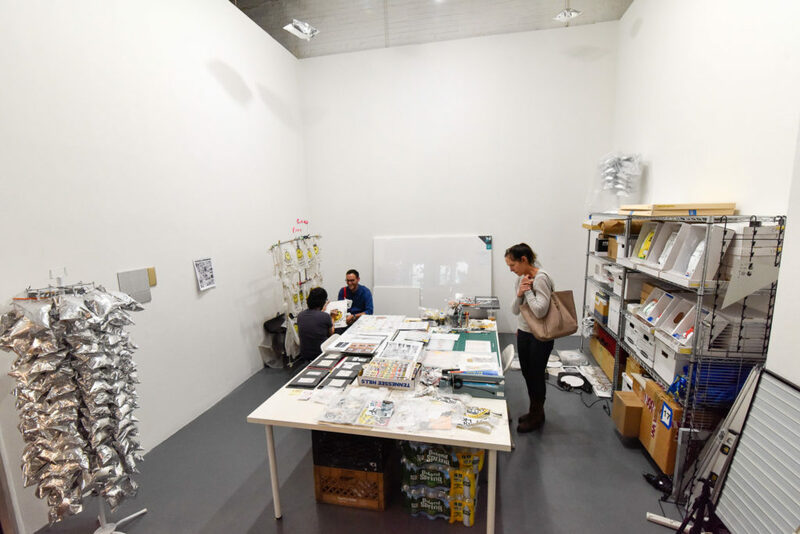 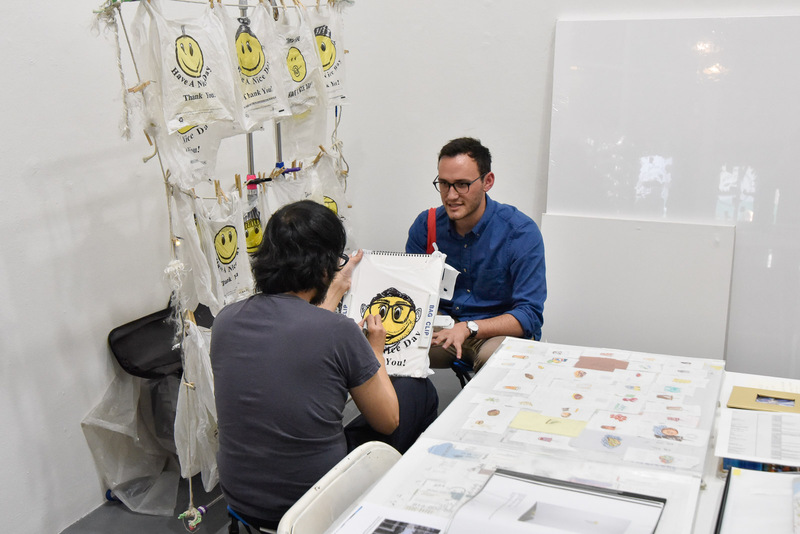 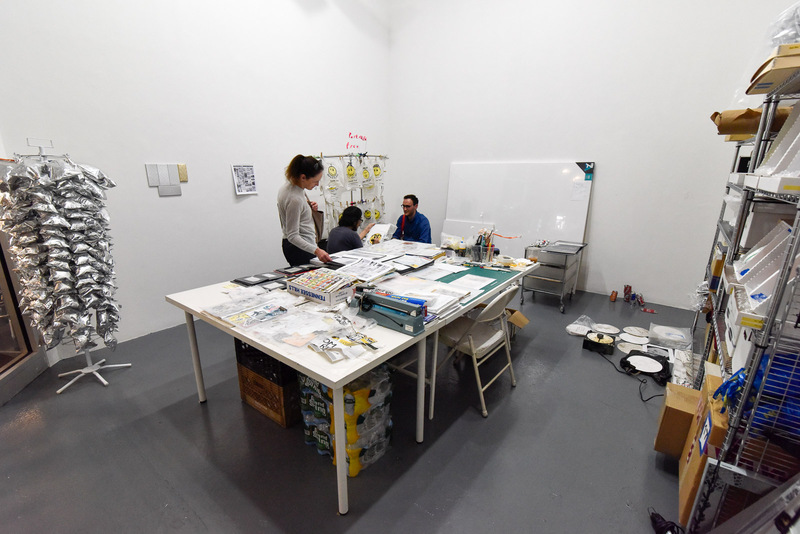 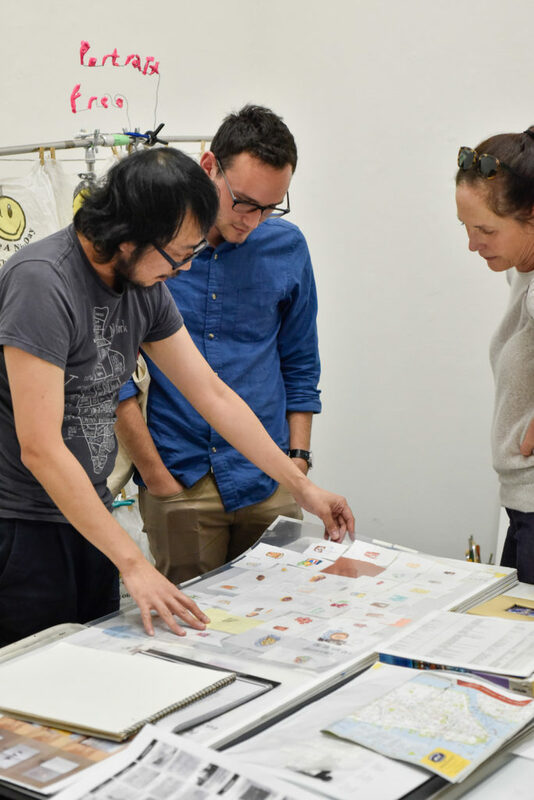 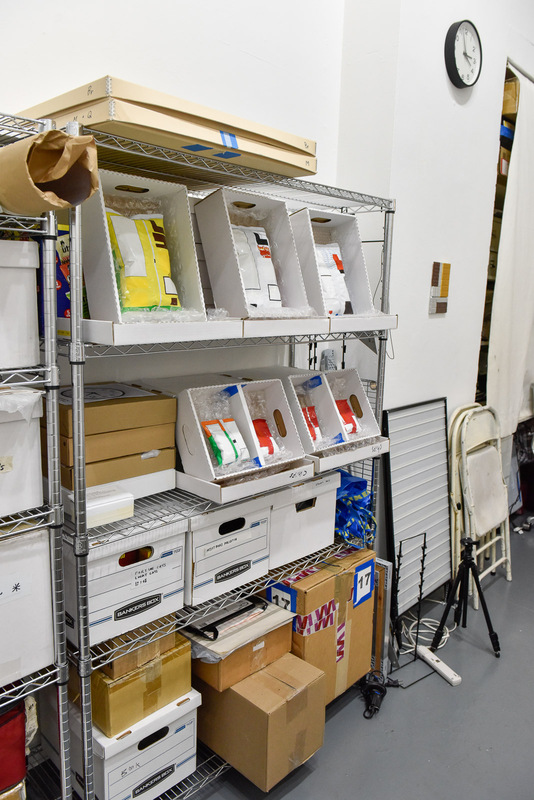 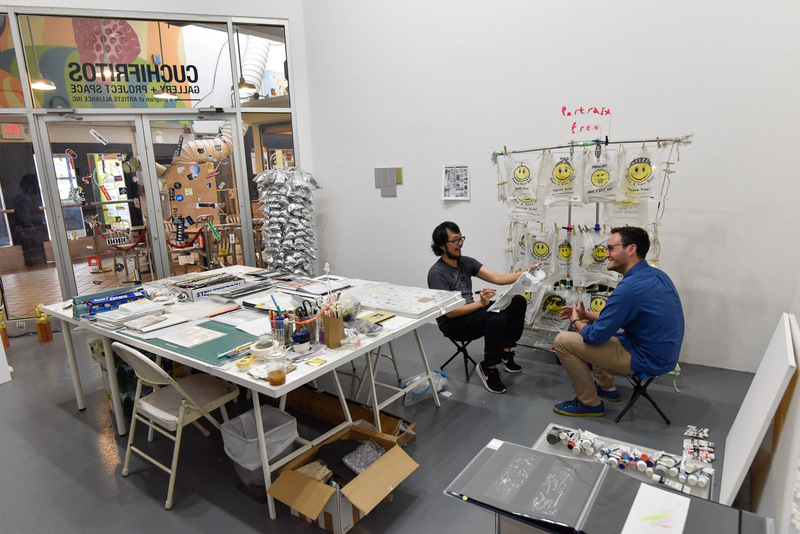 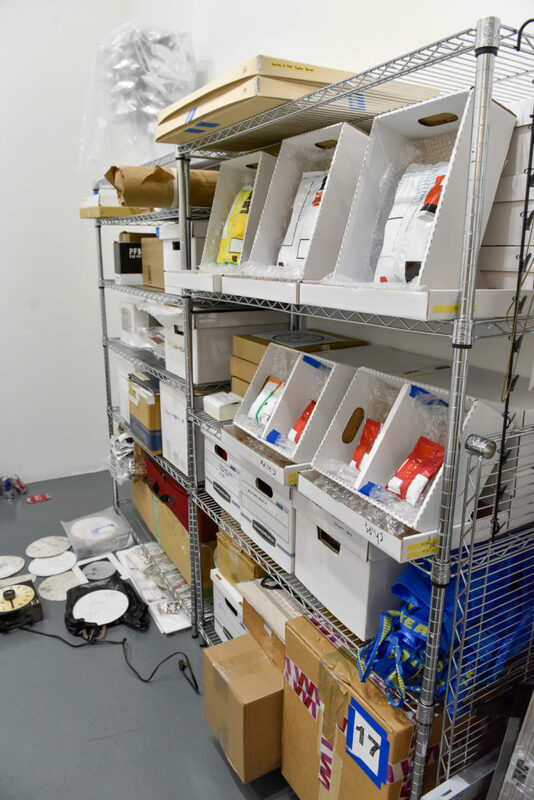 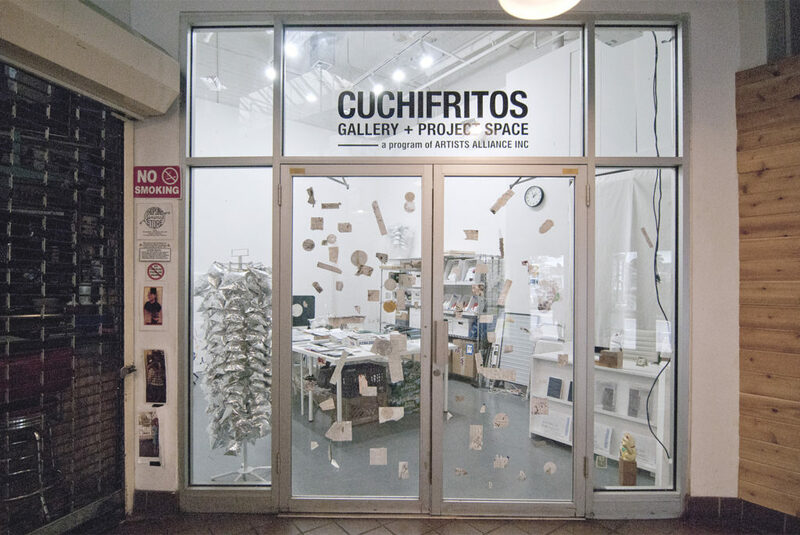 As a culmination of his 6-month residency at Artists Alliance Inc, the former LES Studio Program artist, Nobutaka Aozaki, will continue to work on his ongoing projects, using Cuchifritos Gallery as his studio. 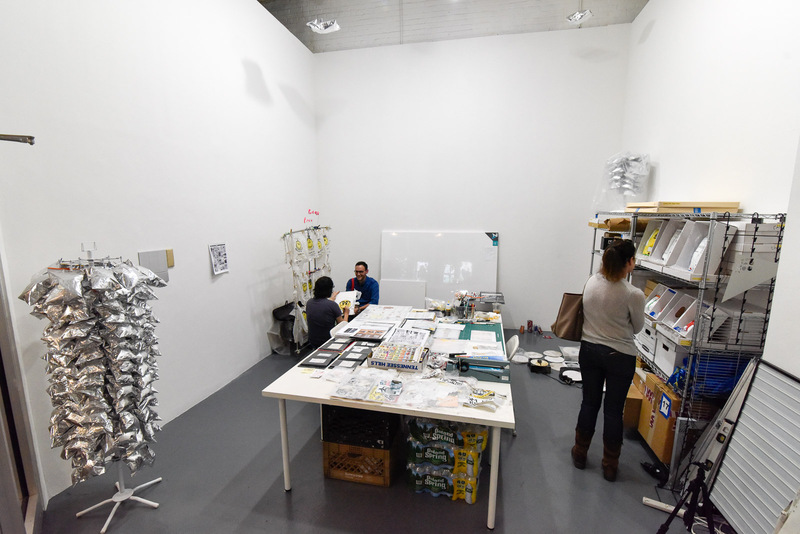 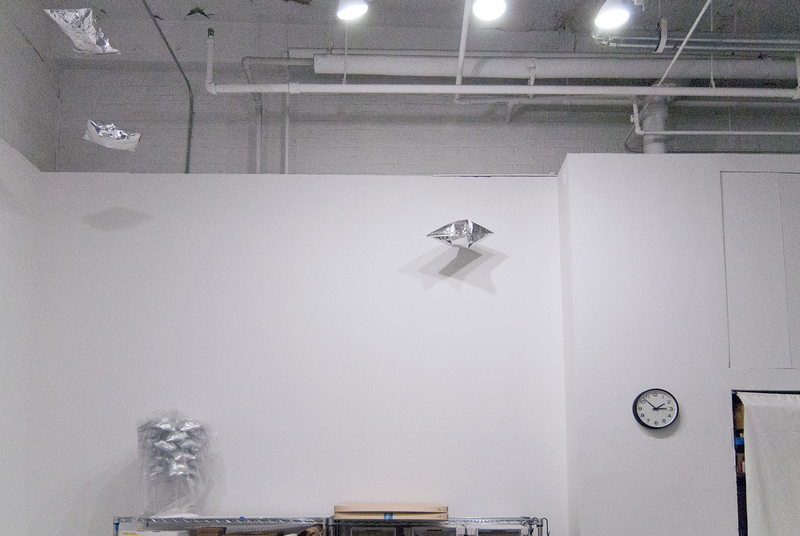 While working, the gallery-turned-studio will be open to the public. 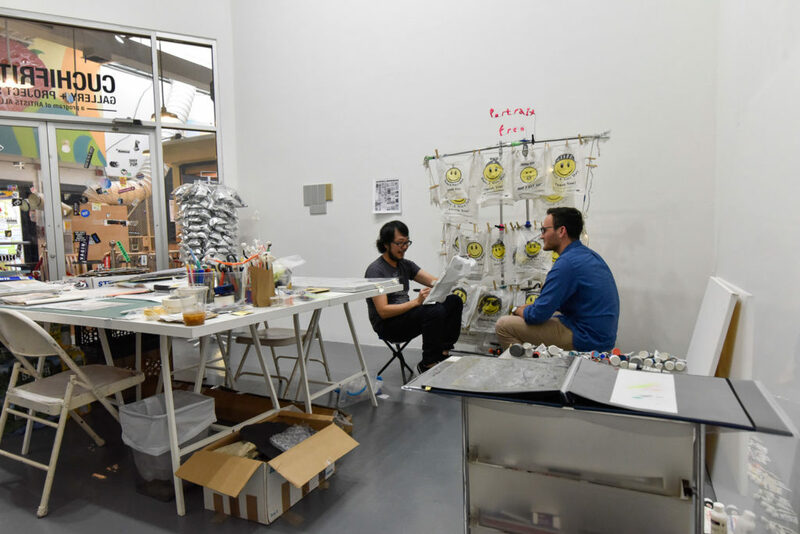 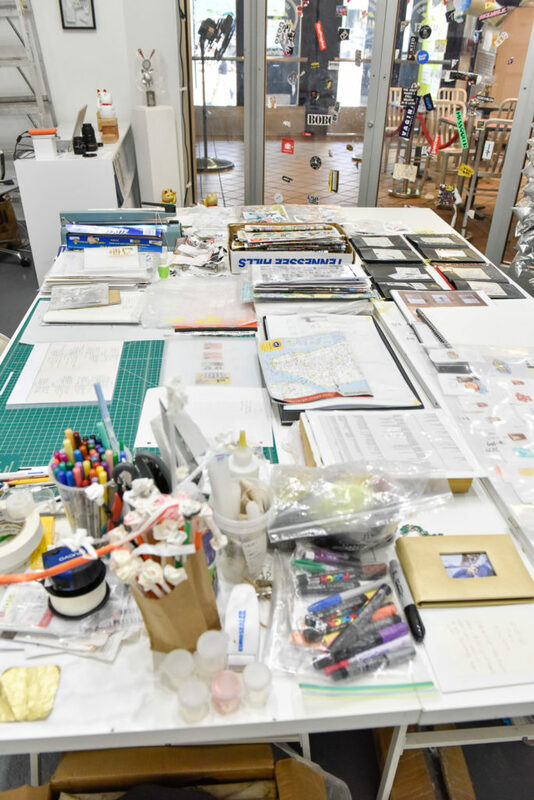 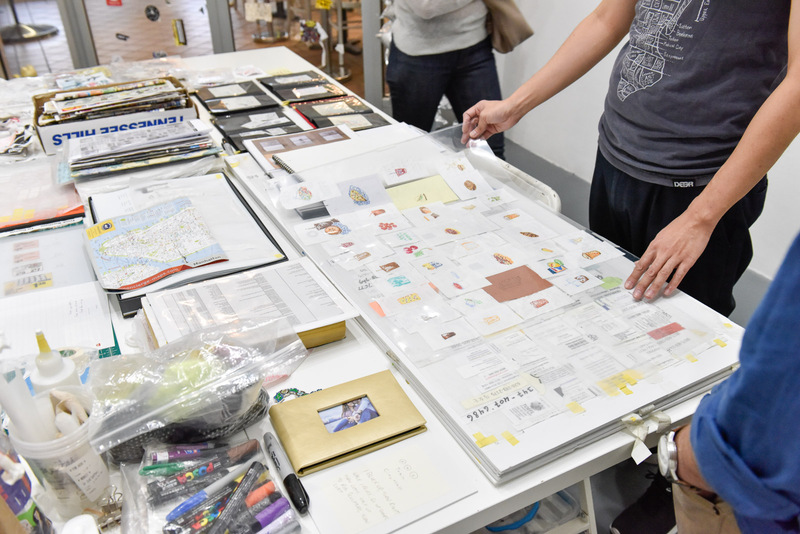 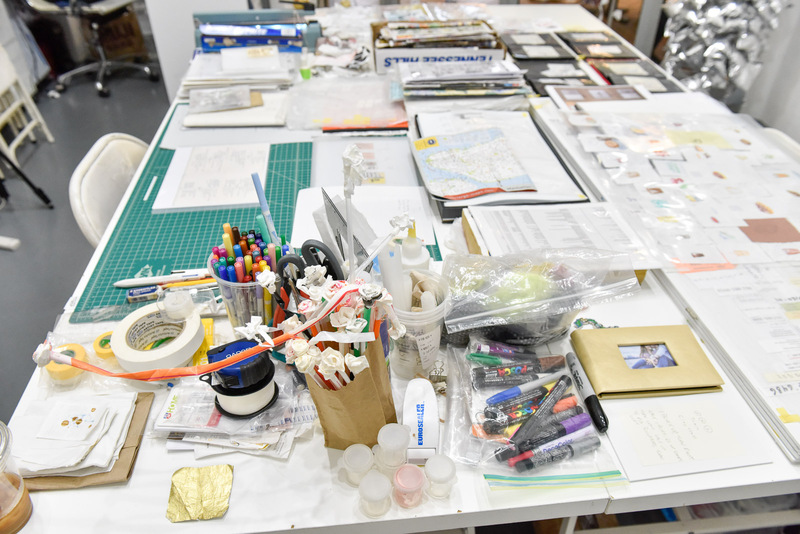 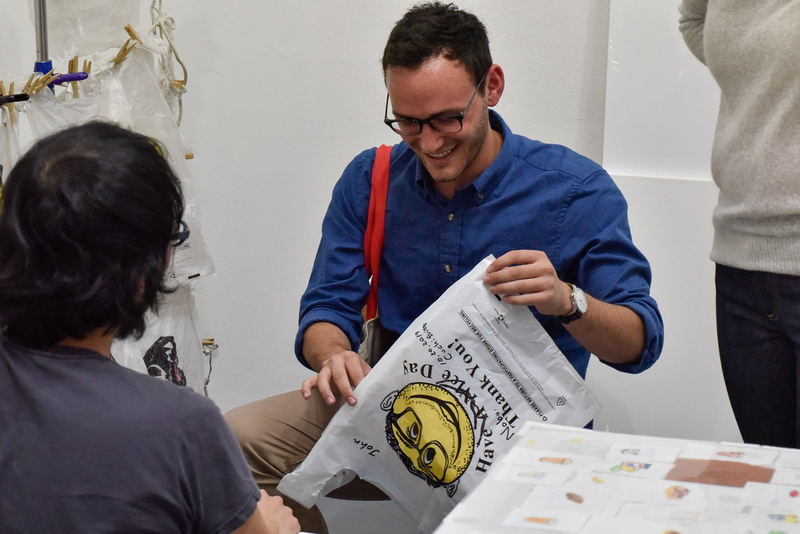 Visitors are invited to meet with the artist and discuss his developing projects, some of which began during his residency at AAI and are inspired by the LES neighborhood. 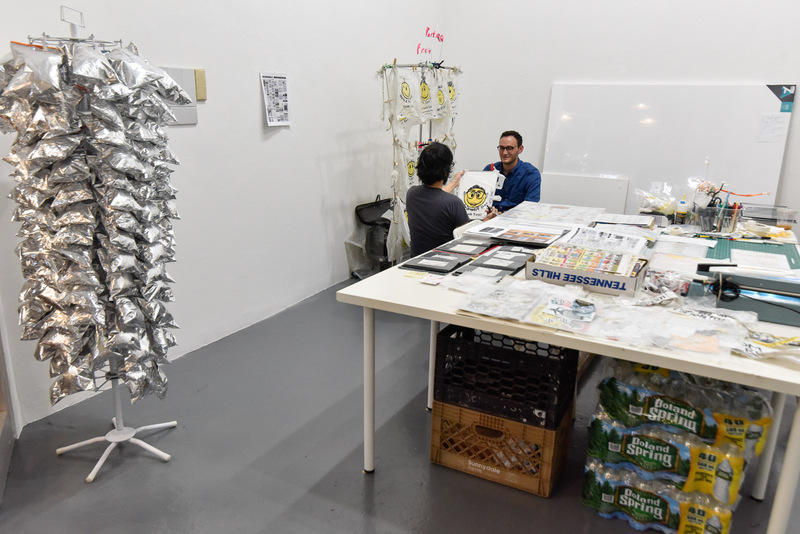 Nobutaka Aozaki is working at the Essex Market. 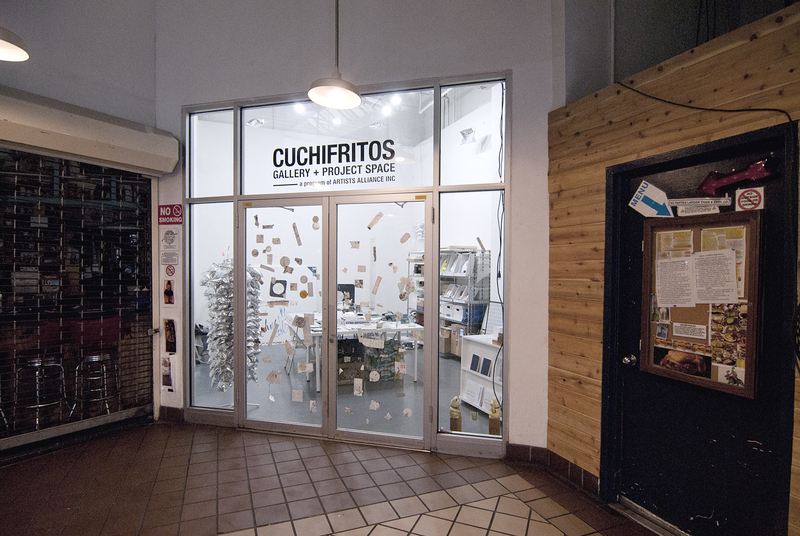 (Extended residency at Cuchifritos) is presented as part of the Workspace exhibition series, featuring residents of the LES Studio Program. 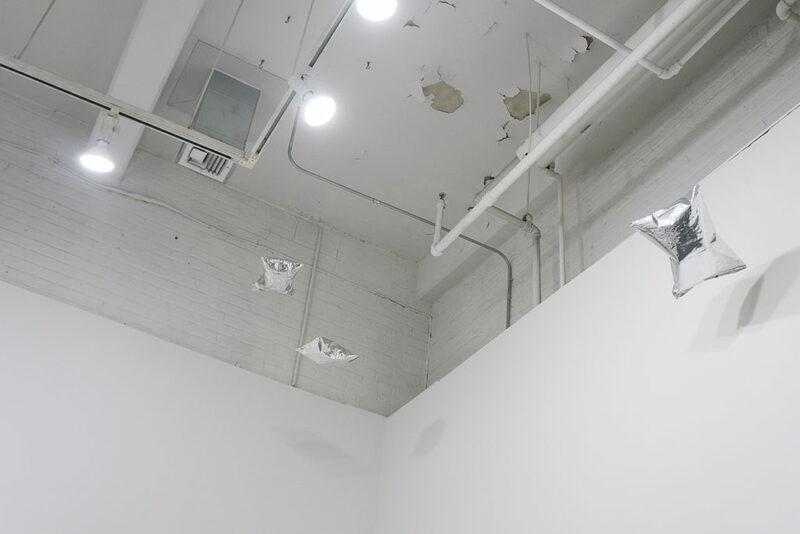 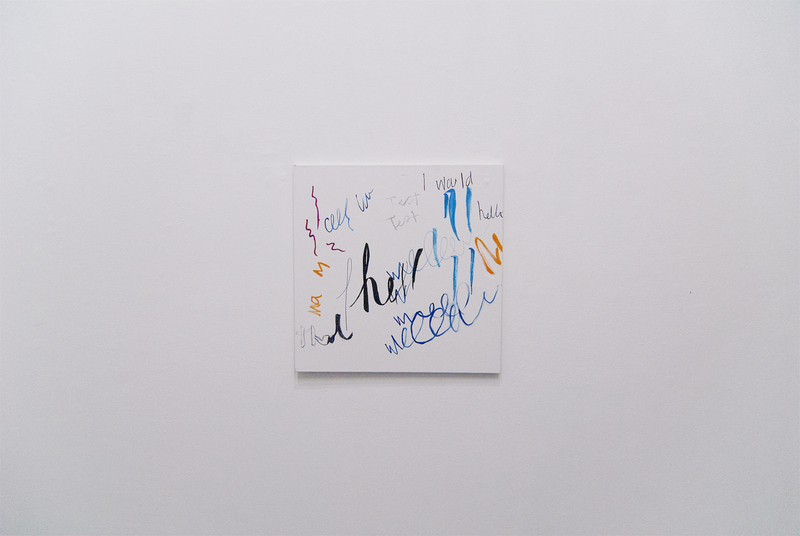 Nobutaka Aozaki is a New York-based artist born in Kagoshima, Japan. 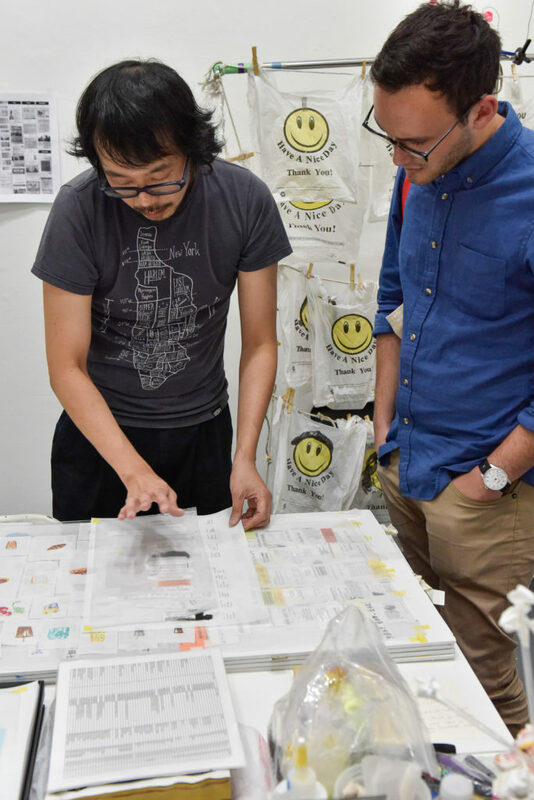 He brings a wry and playful approach to his multifaceted practice, often focusing on the transactional nature of both art and life in the city. His work frequently combines performance and sculpture, developing from everyday interactions with people on the street. 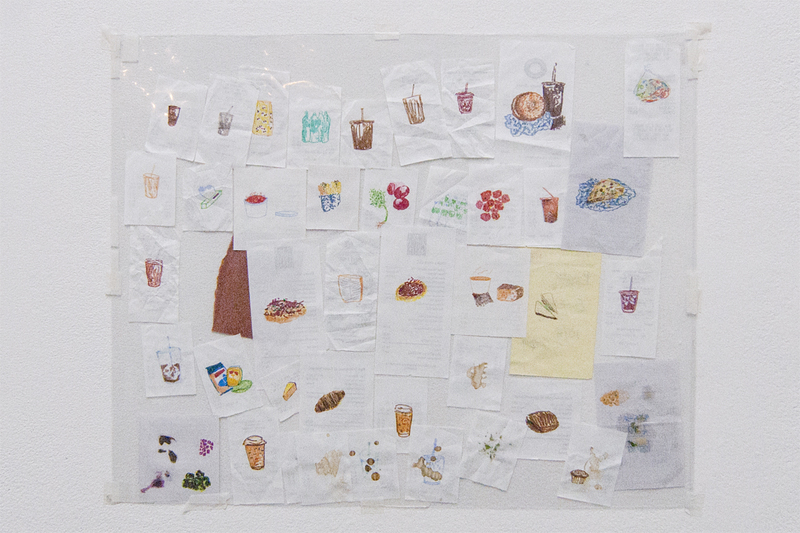 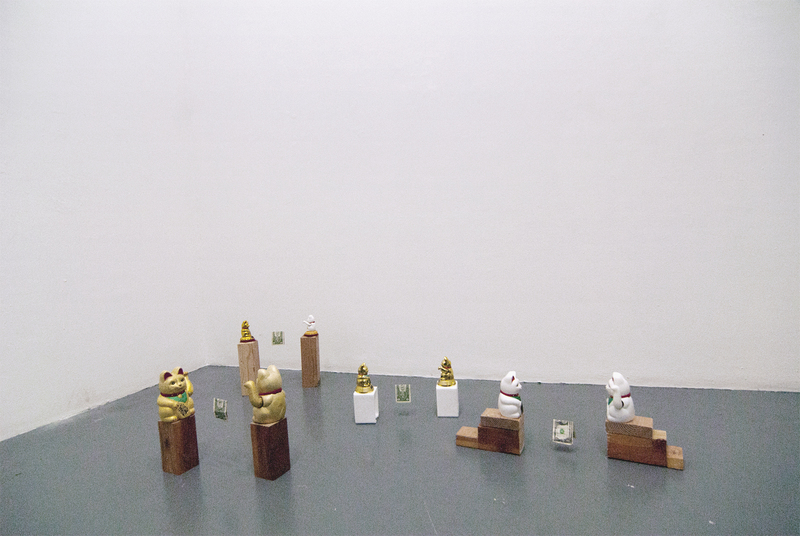 He completed his MFA at Hunter College in 2012. 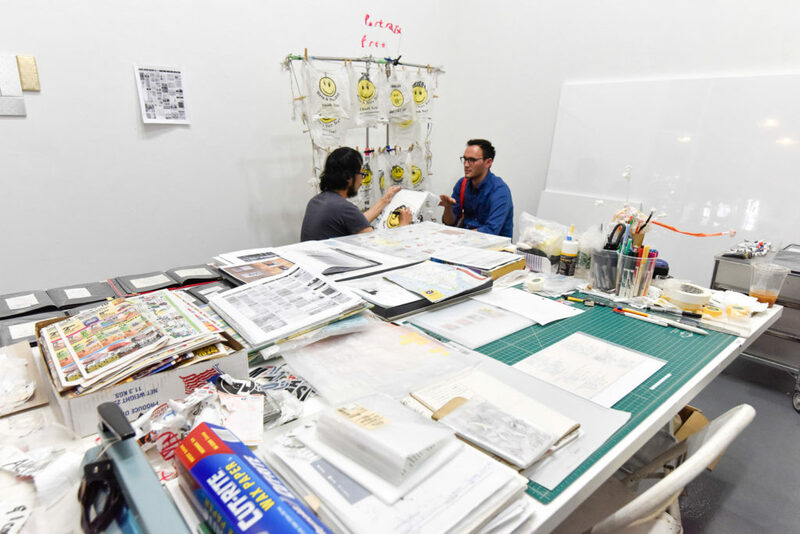 He has been awarded the Artist Files Grant from A Blade of Grass Foundation, the Artists’ Fellowship from New York Foundation for the Arts, and C12 Emerging Artist Award from Hunter College. 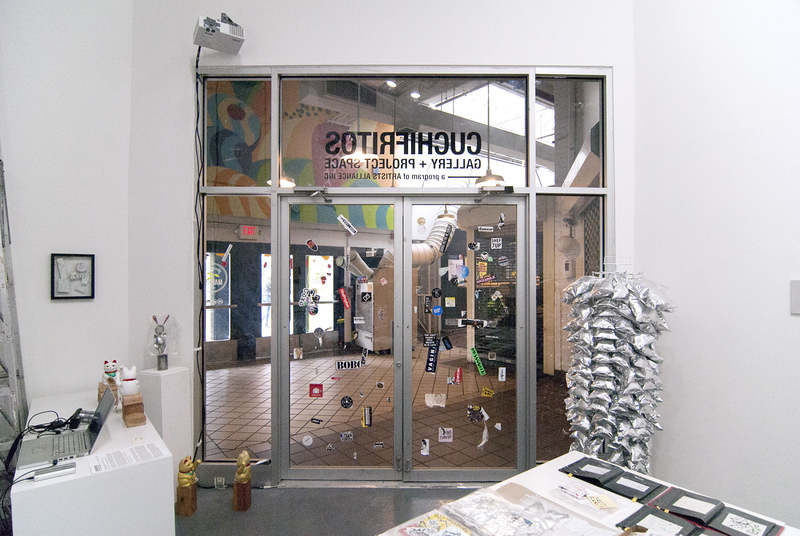 Recent exhibitions include Transportation, ISCP, New York, Crossing Brooklyn, Brooklyn Museum, New York; Queens International 2013, Queens Museum, New York; What is the Real Value of Wealth, Temple Contemporary, Philadelphia; Tina, SPIKE, Berlin; and Where Do We Migrate To?, Varmlands Museum, Karlstad, Sweden; Statements, Tokyo. 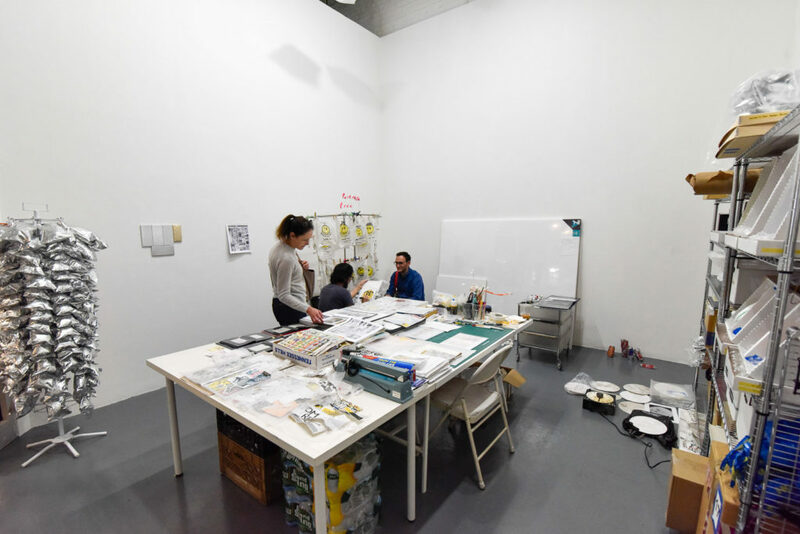 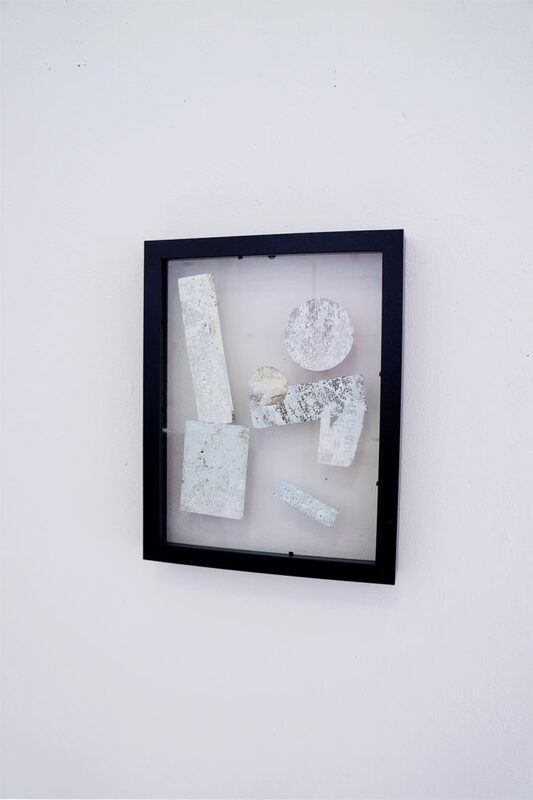 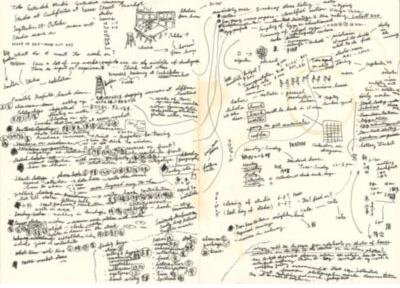 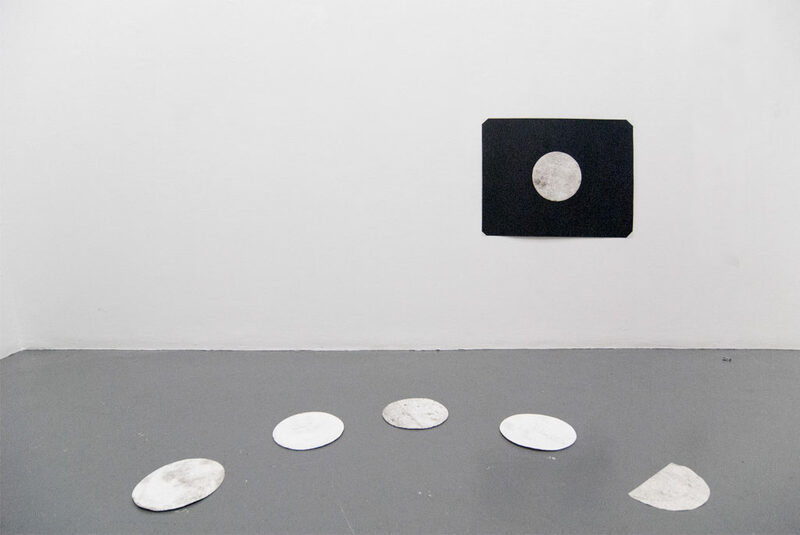 He has participated in the Skowhegan School of Painting and Sculpture, the Queens Museum Studio Program, the Artist in the Marketplace (AIM) program at The Bronx Museum of the Arts, Center For Book Arts workspace residency program, and LMCC Swing Space residency program. His work has been recently discussed in Spike Art Quarterly, The New York Times, The Atlantic Cities, The Huffington Post, ArtAsiaPacific, and Cabinet Magazine.